This is a blog post as told by lender Sebastia of Sydney, Australia. He joined Kiva in 2011 and is one of our most active lenders. He's made 329 loans, 190 of which are to the borrowers of SEF International in Armenia. Recently, he went to Armenia for the first time -- he is ethnically Armenian -- and was excited to see the land of his ancestors, to meet people and to get acquainted with their lives. Accompanied by Anahit from the SEF Kiva team, I visited two Kiva borrowers. 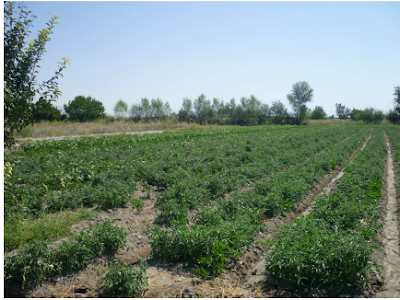 The first, Ruben, had applied for a loan to purchase carrot seeds and fertilizer for the grape orchard, which we visited. 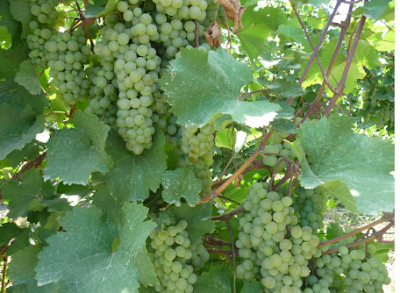 Ruben grows a large variety of grape types, and he gladly offered for us to taste all of them while telling us about the main features of their cultivation. Sebastia (right) with Ruben in his grape orchard. Ruben shared with us that he would not be able to have such a successful harvest without organic fertilizer -- especially because different diseases have recently become very common in the region, decreasing the productivity of the land. Ruben sells grapes to a local winery, and the use of organic fertilizer ensures good quality grapes. Ruben had also cultivated his carrot seeds in late autumn, which is not the most favorable time for this plant. The carrot harvest was not as good as the grape harvest, but Ruben hasn't lost hope and is determined to continue growing carrots. The second borrower we visited, Susanna, is also in agriculture. She applied for a loan to purchase two calves and stakes for her grape orchard, as well as medicine and organic fertilizer for her crops. Susanna was very excited about the calves she has purchased, which will give her the opportunity to breed cattle and produce more milk. 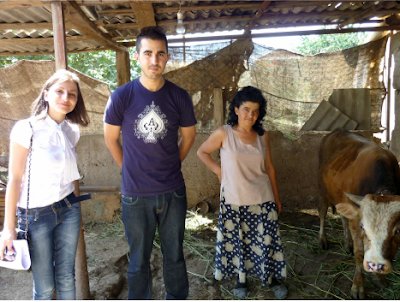 (From left) Anahit from SEF, Sebastia and Susanna with one of her calves. Even though it was a little early for the tomato harvest -- most were still green -- Susanna found a few ripe tomatoes so we could try their fruity taste. I was happy to see, touch and taste the real results of the loans I made. It was very important to talk to the borrowers and learn about challenges they face. I'm excited to have the opportunity to support so many Armenian entrepreneurs and to continue making loans. You can learn more about SEF International here. 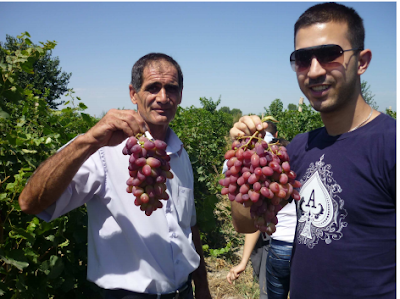 The organization invites all Kiva lenders to visit Armenia. Staff there will help with the logistics if you are interested in meeting borrowers in person. Have questions? Send them our way at blog@kiva.org.